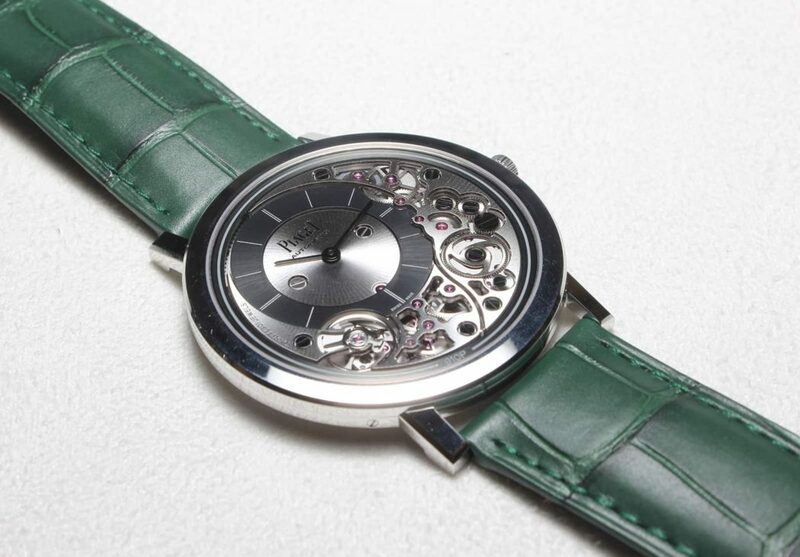 With a new year comes a lot of people wanting to get thin, but what good is getting thin if the watch you’re wearing is still all kinds of thick? Yes, it’s more likely you’ll avoid stuff like heart disease, diabetes, joint problems and other ailments, but why bother with removing organic flab from your wrist if you’re just going to replace it with flab of the mechanical variety? 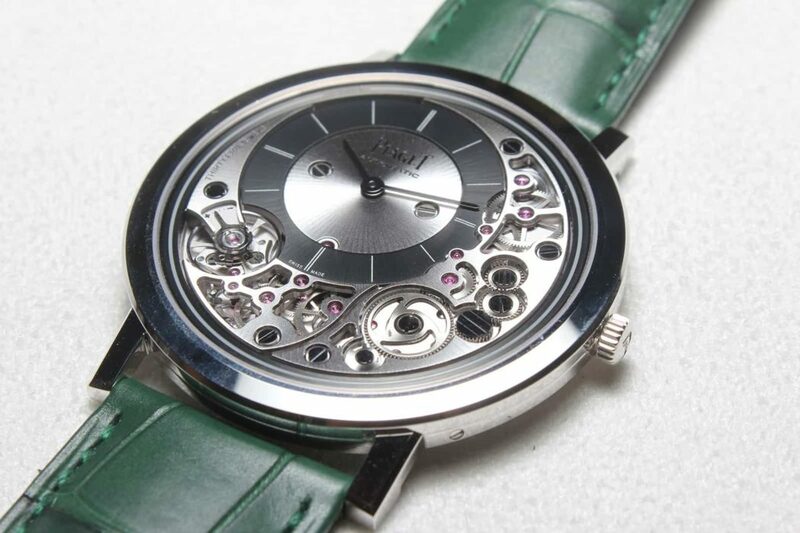 Well, with a super thin new timepiece from Piaget, you won’t have to re-add flab. 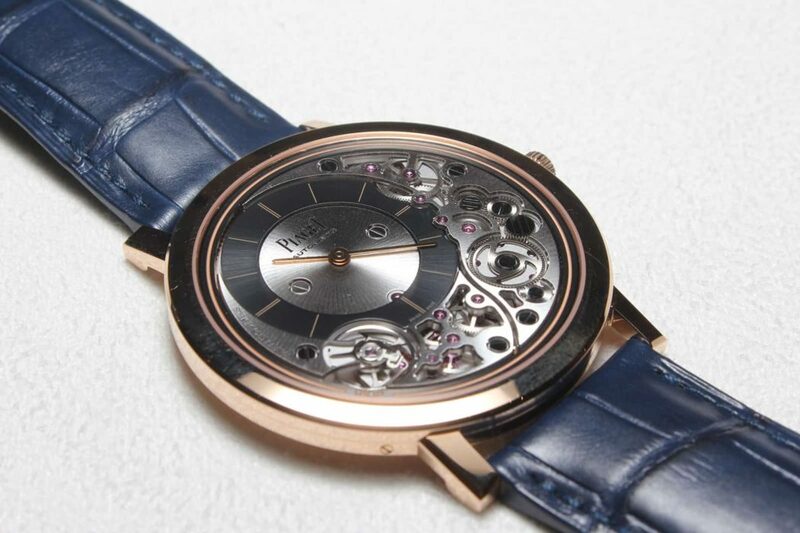 Measuring just 4.3 millimeters front-to-back, the Piaget Altiplano Ultimate 910P is claimed by its maker to be the thinnest automatic watch in the world. 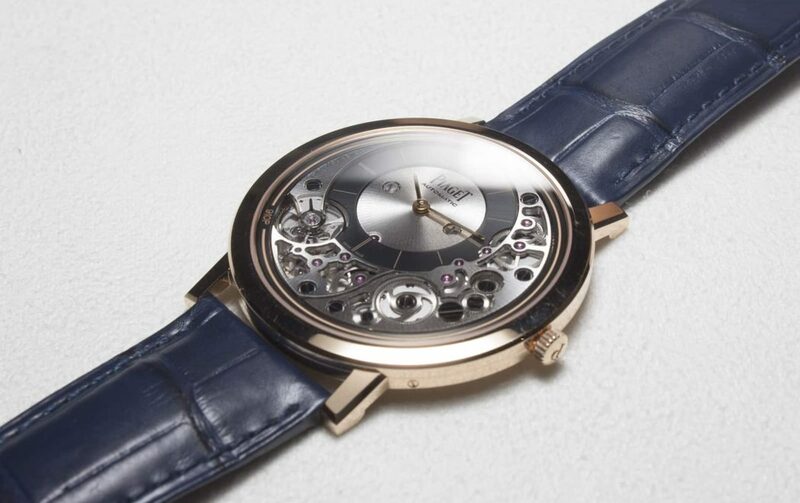 The slender caliber 910P (which makes use of clever packaging tricks like running the 22k gold rotor on ball bearings around rather than above or below it) packs 50 hours of power reserve, so this waifish wonder has function to match its sleek form. 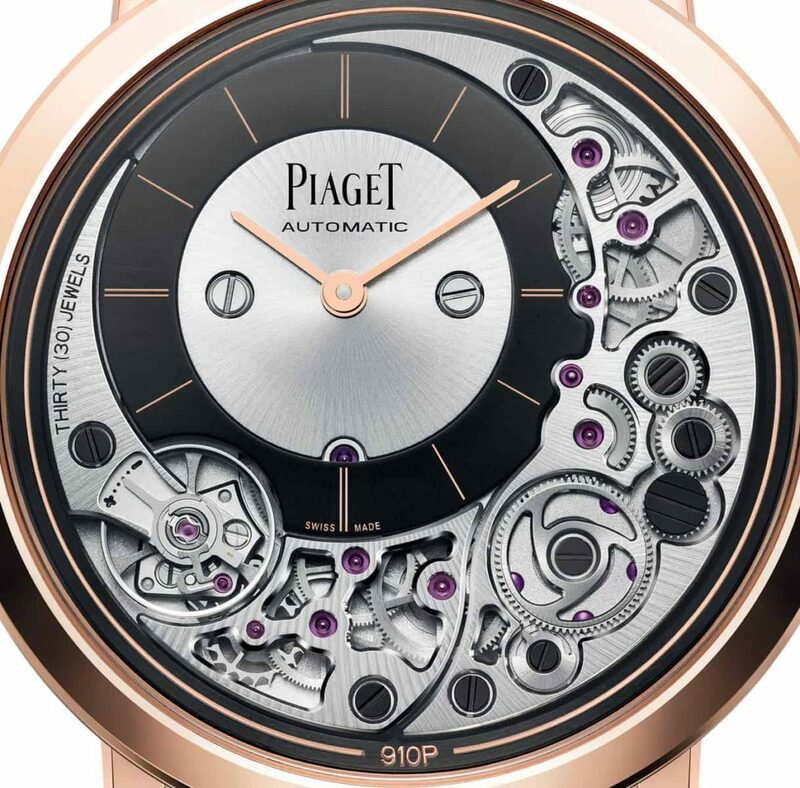 Offered in pink gold ($39,200) or white gold ($40,800), the whole Piaget Altiplano Ultimate 910P production run is sure to sell out fast.